The Saarijärvi Forestry hut has a long history with visitors of Repovesi. 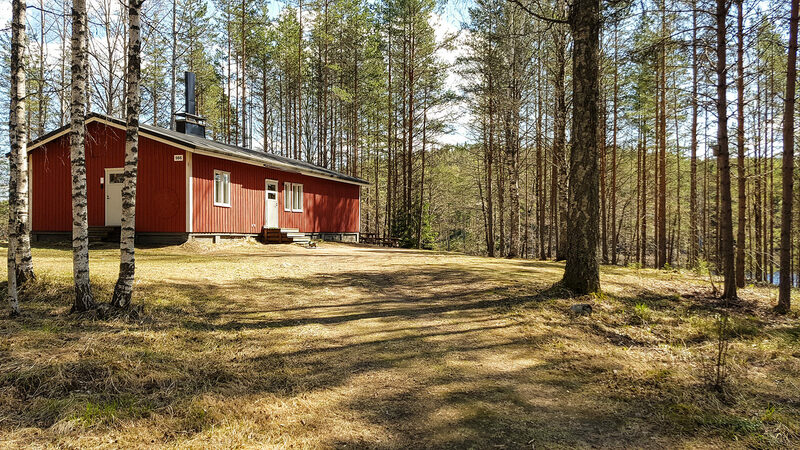 It was built in the 1950s for the loggers to stay in during fellings. 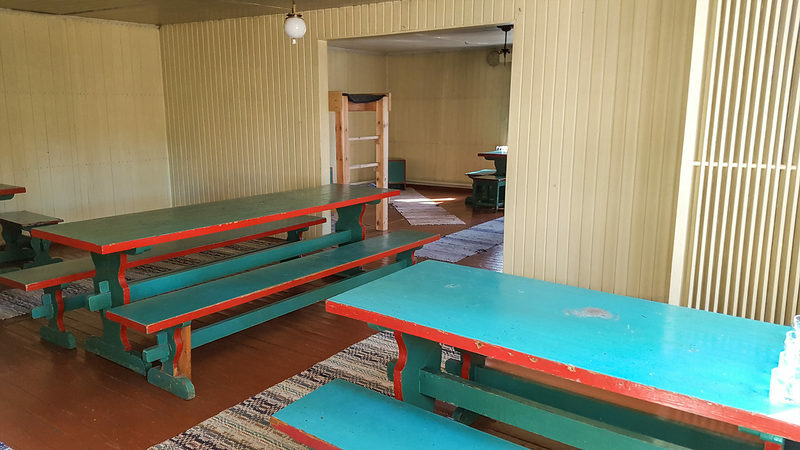 At the one end of the cottage there were about 20 beds for the workers, handling many different duties at the site, and at the other end was the office of the foreman and the kitchen and its hostess. Here everyone obeyed the logger’s hut law. 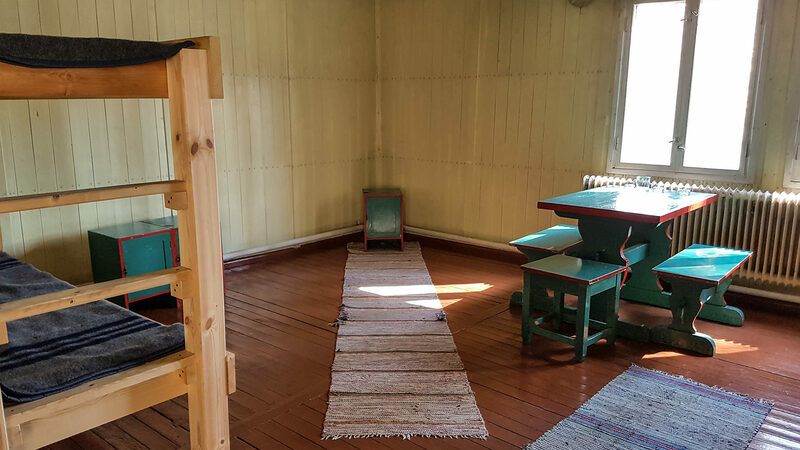 There were three different rooms in the forestry hut, the office, the kitchen and the worker’s end. The foreman was the boss and in charge of the felling. The hostess supplied the food and cleaned. The workers stayed in their room and tried not the disturb the hostess. Food was served to the workers' side through a window between the rooms. 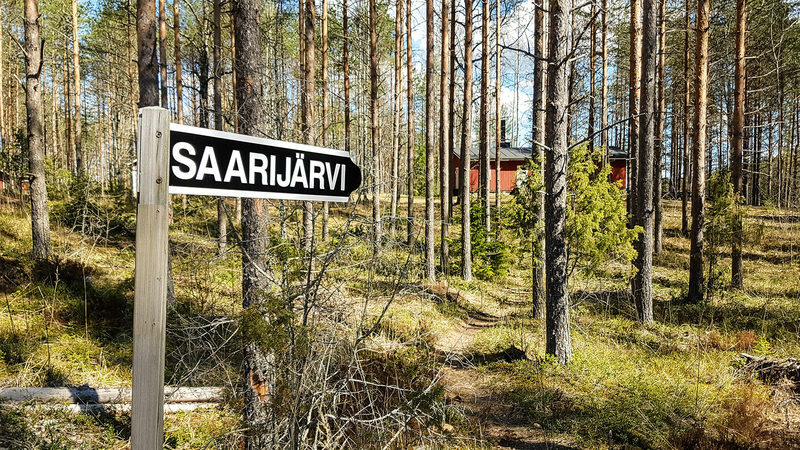 Today, you get to experience the real forest atmosphere in the forestry hut at Saarijärvi. 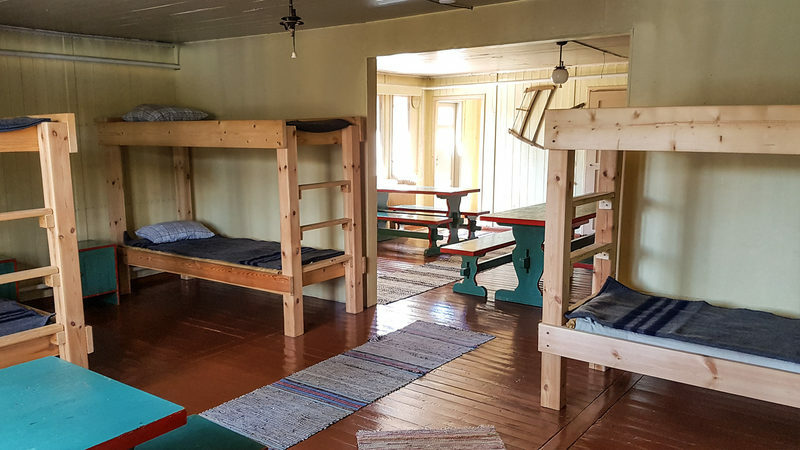 There are bunk beds, with a 120cm lower bed and an 80cm upper bed, in the foreman’s and the hostess’ rooms, each housing 2-3 people. 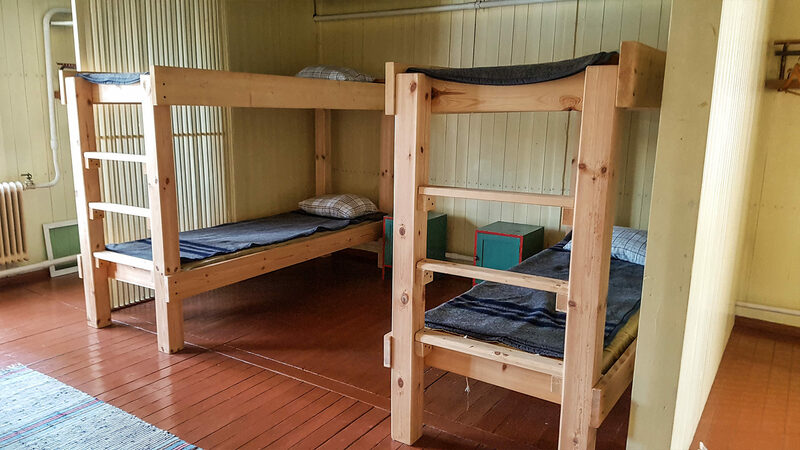 In the large workers' room, there are two bunk beds housing a total of 4 (the beds are 80cm wide). The maximum number of people is 8. 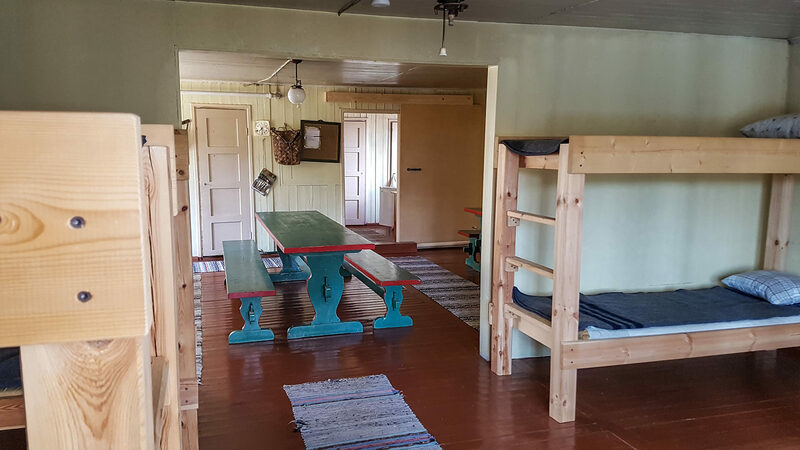 The beds are furnished with a mattress, blankets and pillows. You cannot exceed the maximum number of people. 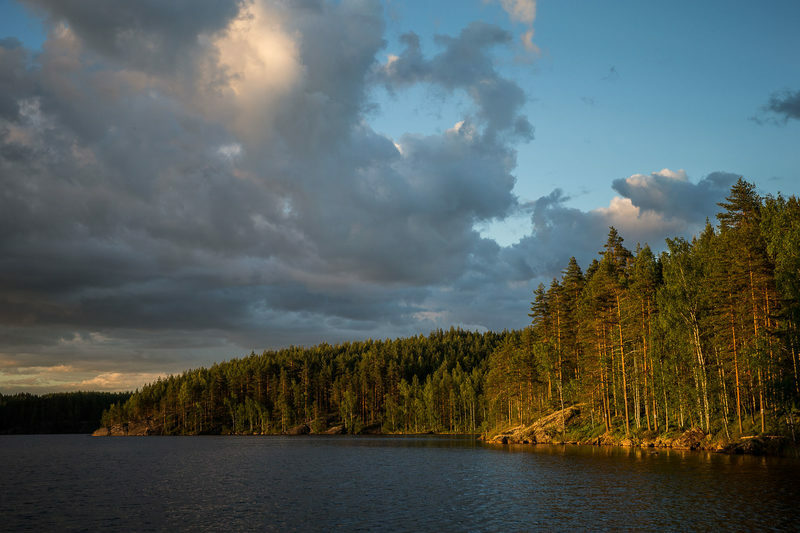 If you need to accommodate more people, we suggest you check out the Valkjärvi camping area(possibly with a tent sauna). 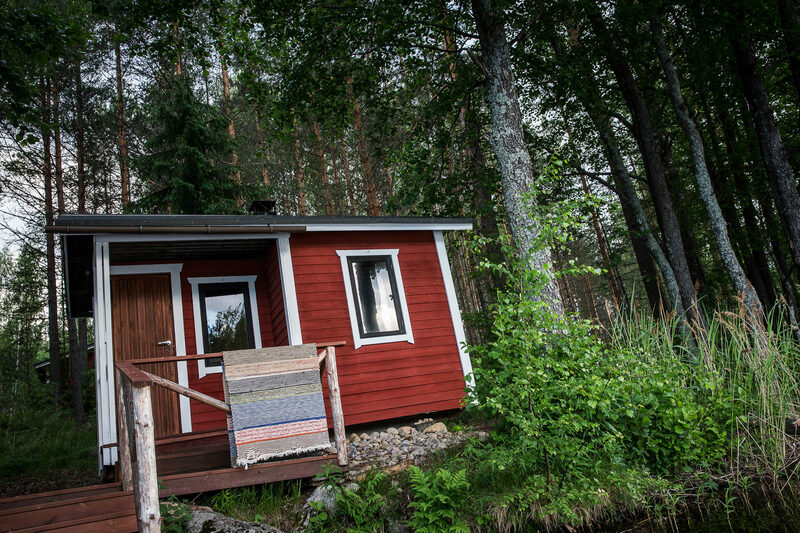 Sauna, with attached water heater. Swimming is possible in the lake (the shore is sandy but with large rocks). There is a swimming dock on the shore. Bunk beds with mattresses, blankets and pillows. A campfire place next to the cottage. Ready-cut firewood, axe is supplied for chopping. A dry toilet at the park entrance (150m). The cottage’s toilet is under renovation. Notice! Candles, toilet paper and bed linen are not included. There is no electricity at the forestry hut. The small sauna on the lake shore is for the cottage’s guests' private use. The cottage’s yard stretches from the gate to the lakeshore and is for the guests' use. The yard must be kept tidy and there can be no other accommodation without permission. There is a gas cooker in the cottage. You can also cook outside on the campfire. 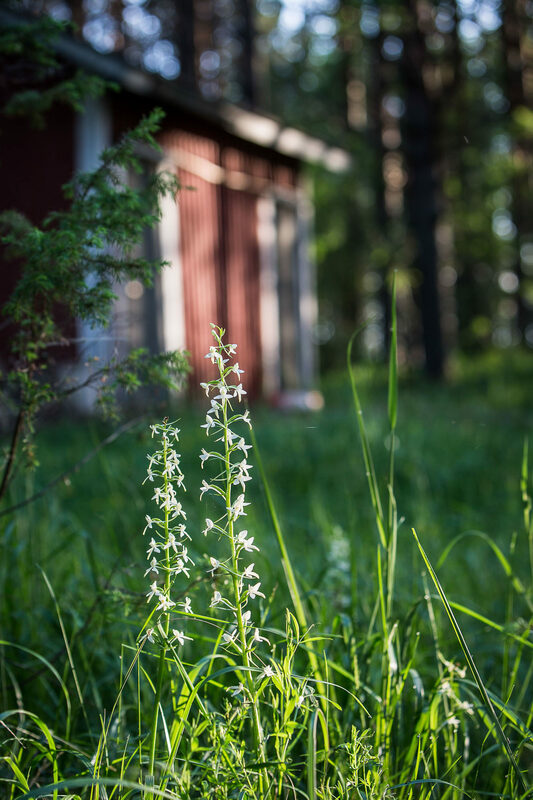 There is a well at the house of Tolonen. Housebroken dogs smaller than 60cm in height are allowed in the Savottakämppä cottage. The owner is responsible for the covering of the beds and blankets if the dog likes to sleep in bed. Please make sure to clean away any dog hairs from the rugs and the rooms upon departure. If dogs relieve themselves in the yard, the waste must be picked up and taken to the compost behind the dry toilet. Please tell us the breed and the size of the dog when making your reservation. Please read the “Pets” section before making a booking. The tenant is responsible for the cleanliness of the cabin, the yard and the cabin amenities. 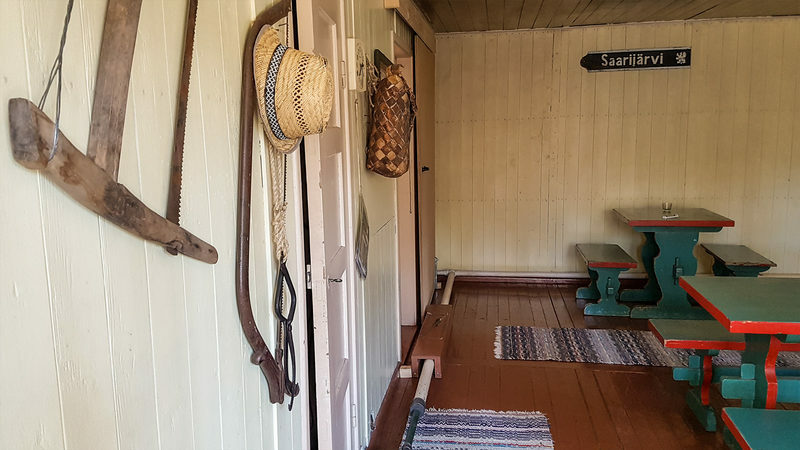 The cabin must be cleaned carefully before leaving, so the next guest can enjoy their visit too. 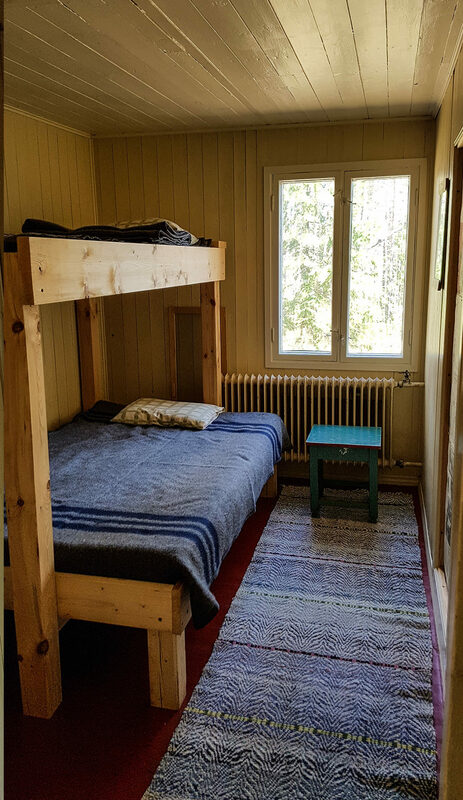 The Savottakämppä cabin follows the litter-free hiking guideline. You can put bio waste into the dry toilet and burn any burnable materials (do not burn packages with aluminium and other metals). Don’t leave anything for the next guest to burn. Everything else you must take with you. 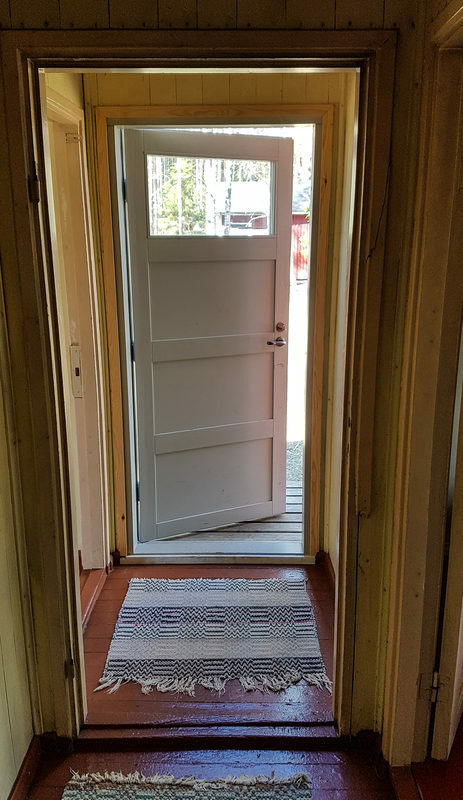 Do not leave anything edible at the cabin. The reservation can start at 13 o’clock, and departure time is at 10. Please read the terms and conditions before making any reservations. The old loggers' hut law still abides as well ;) . 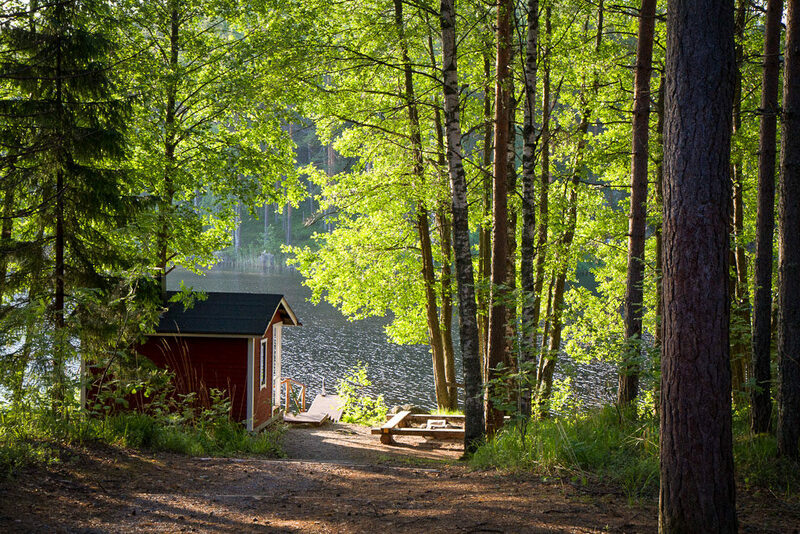 Small Sauna on the lake shore. 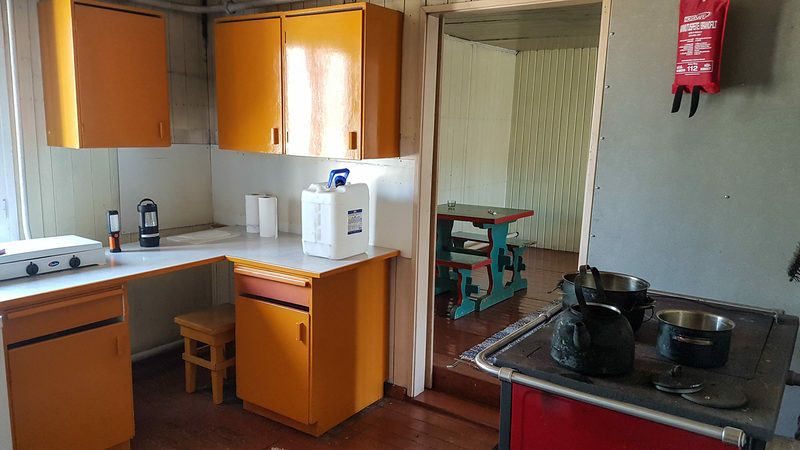 In-built kitchen with a gas cooker, a gas refrigerator and a woodburning oven. A large yard around the hut. There is a swimming dock. Sandy and shallow beach is safe for children. No jumping from the dock because there are large rocks in the water. 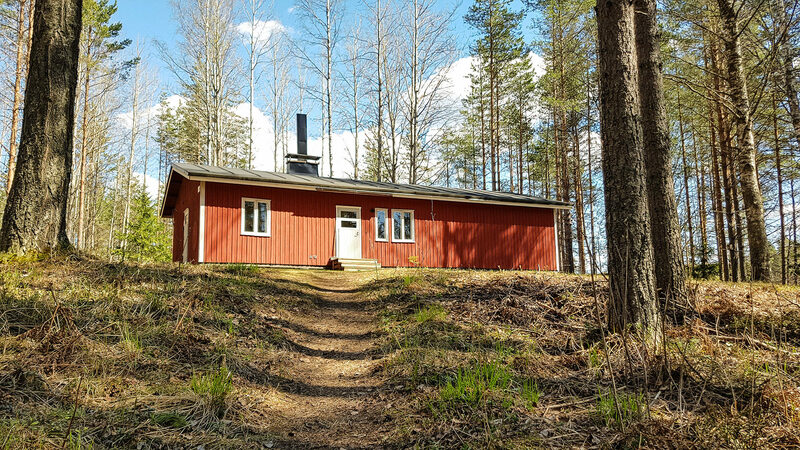 There are plenty of services in Mäntyharju, which is less than an hour-drive away from the cottage. There are several super markets, a gas station, a pharmacy, Alko and many other stores. Lahti is halfway from Pihkapirtti to Helsinki. You can find all the services you need in Lahti. The time estimation is with no heavy traffic. The time estimation is with no heavy traffic.